Mexico vs Panama Live Streaming: Here’s how to watch Panama vs Mexico live stream online in FIFA World Cup 2018 qualifiers today. Mexican team is almost going to qualify for the 2018 WC. Today’s game is to be played at the Estadio Azteca. As of now, El Tri is leading the group. However, it needs only the top three position to play in Russia. On the other hand, Panama’s team is at #4 in the table. But, they have the potential to overcome USA and grab the third position. The match is to start at 9:30 pm ET and live telecast will be on Fox Sports 2. While the live streaming of Mexico v Panama is on Fox Sports and fubo.tv. Here’s the preview, prediction, and possible line-ups. Mexican coach Juan Carlos has done a good job as his team is on the verge of qualifying for the finals. As of now, they have garnered 14 points and are almost sure of participating in the world football next year. They have made 9 goals in six matches. Panama has a good potential as they made Mexico to end with a goalless draw in Round 5 in November 2016. Panama’s national football team has shown a significant improvement in their defence in the recent times. Javier Hernandez is a part of the Mexico’s team after returning to the EPL with West Ham United. He is Mexico’s all-time leading goalscorer. Chicharito has done two goals in the first three Premier League games this year. He appears to be as deadly as before. Panama should be beware of Honduras which is 2 points behind only and are fifth place. They can still qualify with some good games. But, that become unlikely after taking goal difference (-8) in consideration. It means that Panama will still qualify even if Mexico wins. It doesn’t seem that PAN can hurt MEX at this point. It’s the final match of Osorio’s suspension, but that shouldn’t create any problem in their defensive outlook. The hosts would be looking to goal at the earliest and create pressure on weaker side. Both the teams will be satisfied even if they get one point each. But, it will be good for Mexico to celebrate the qualification in front of the home crowd. the draw available at 15/4. Panama’s Potential starting XI: Calderon; Murillo, Escobar, Chen, Davis; Gomez; Cooper, Godoy, Barcenas, Quintero; Torres. Mexican Potential starting XI: Ochoa; Duenas, Moreno, Reyes, Gallardo; Herrera, J. Dos Santos, Guardado; Lozano, Chicharito, J. M. Corona. 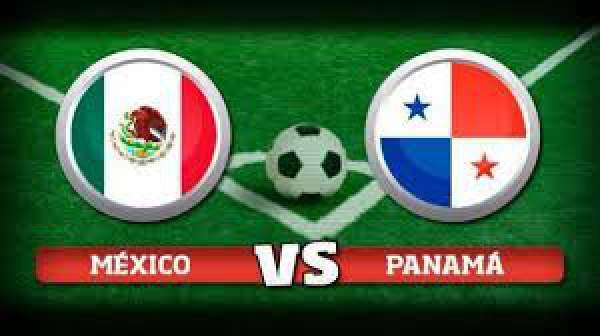 Come back for Mexico vs Panama live streaming, fifa wc 2018 live football score, match highlights, scorecard, and much more.